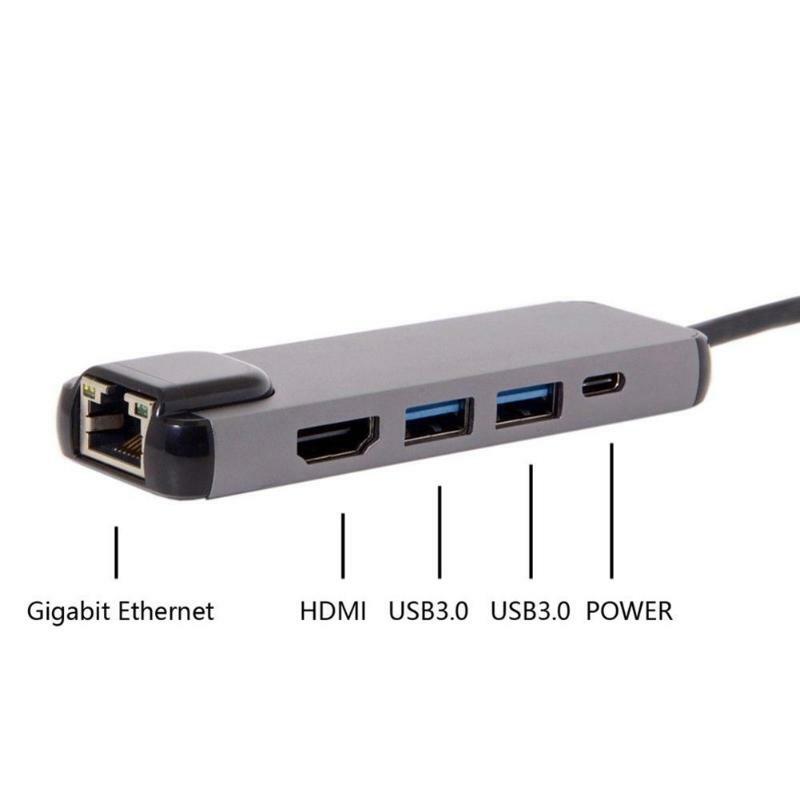 The super speed USB 3.0 ports allow you to transfer data at up to 5Gbp/s. 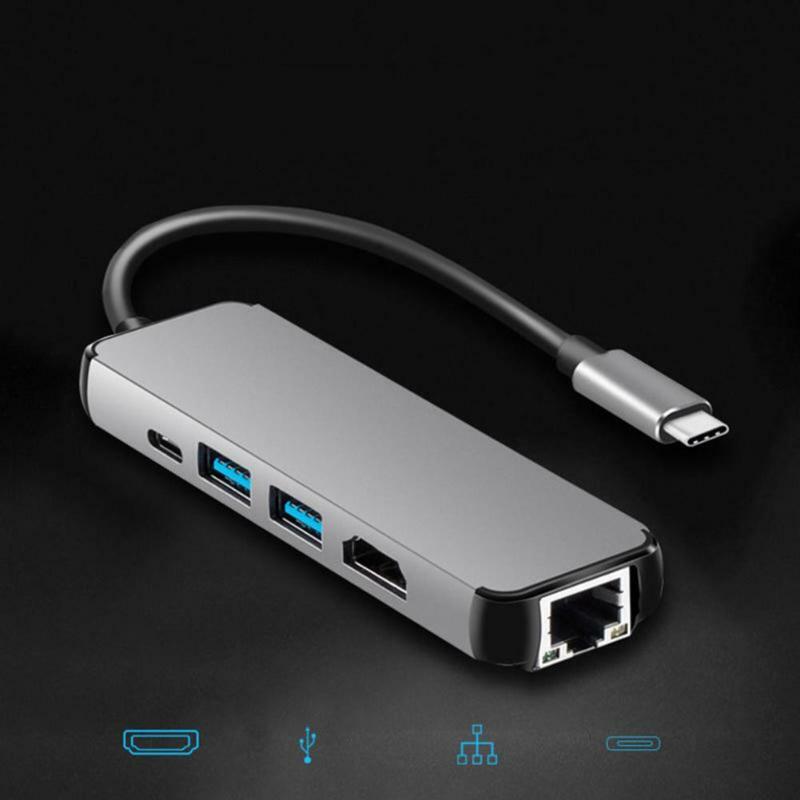 Capable of connecting up to two USB-A peripherals (e.g. 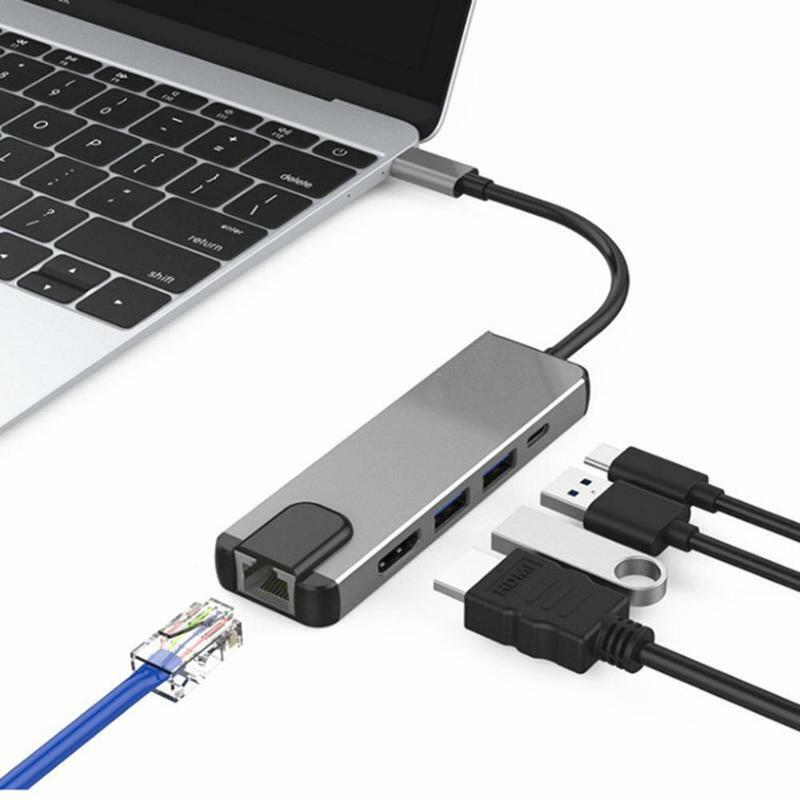 Keyboards, mice, speakers or thumb drivers) to a USB-C laptop simultaneously. 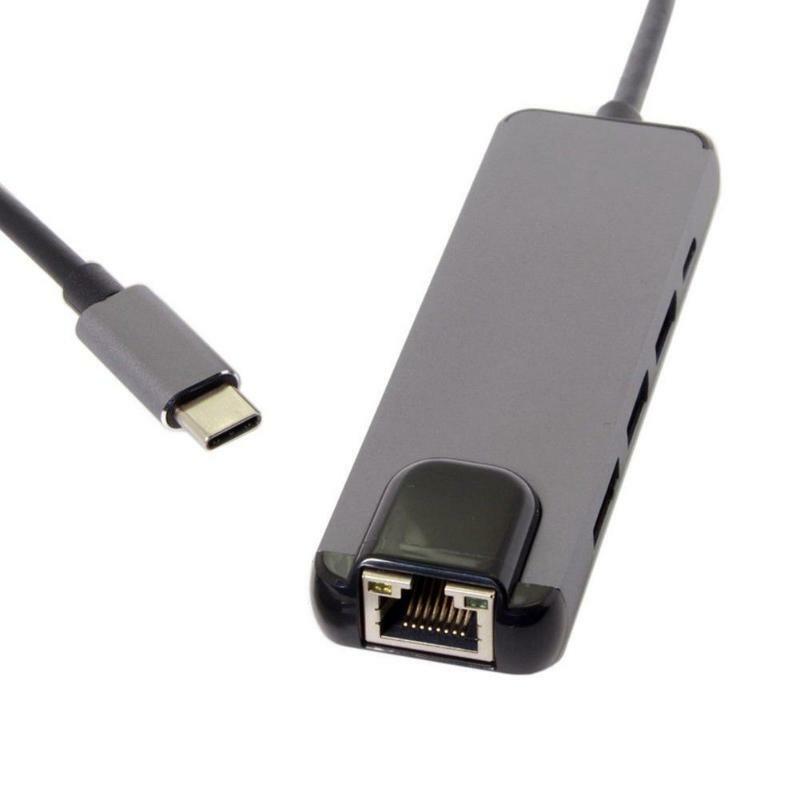 Backwards compatible with USB 2.0 and USB 1.0 devices. 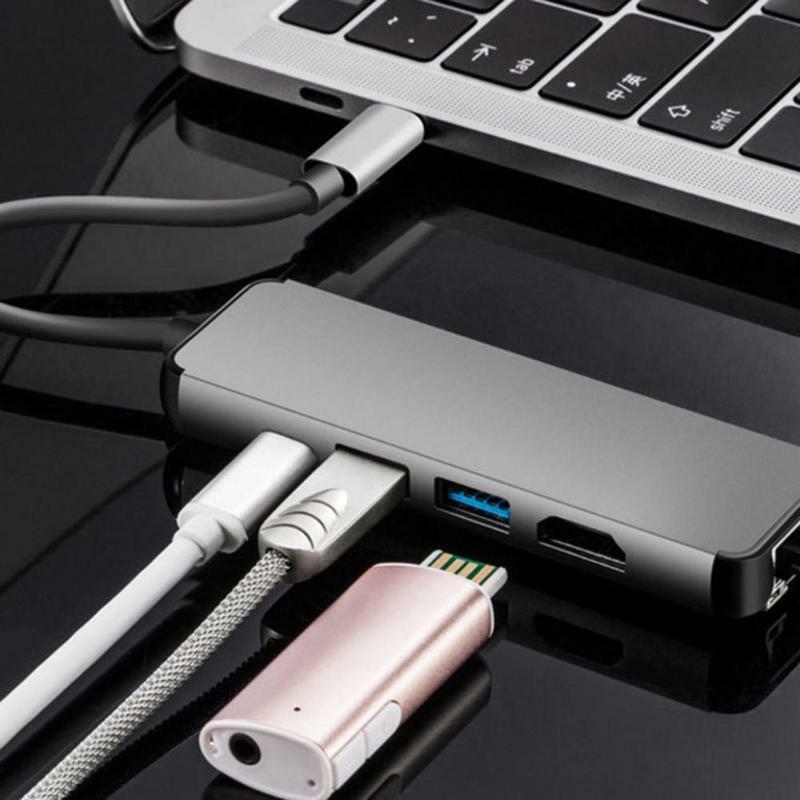 Connect to a USB-C power adapter and charge the connected Power Delivery enabled USB-C laptop and the hub via its USB-C charging port while connecting multiple peripherals and transferring data. 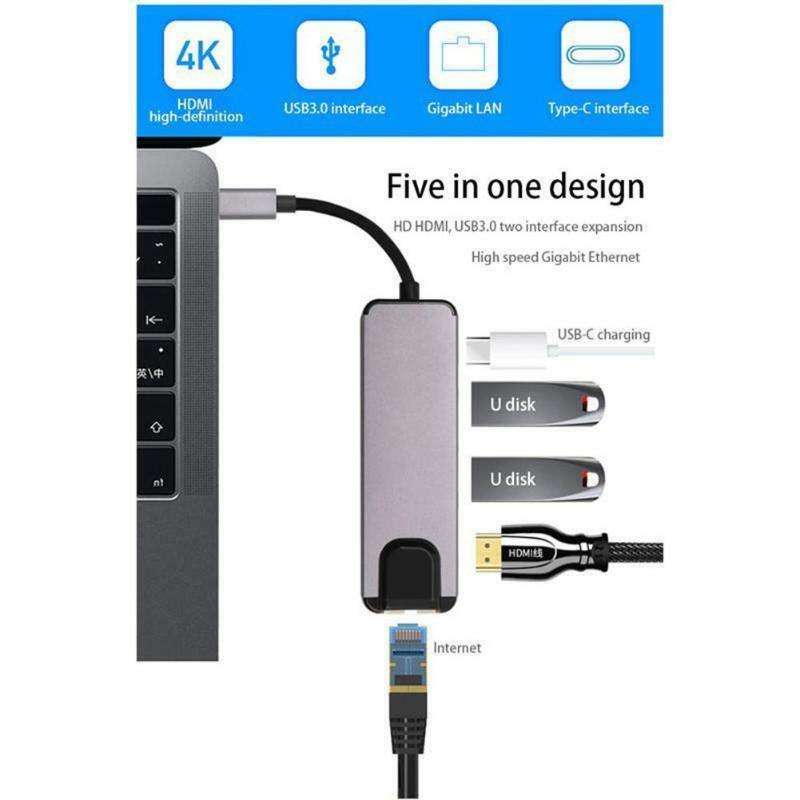 Mirror or extend the display of your laptop to your TV, monitor or projector in up to 4K UHD (3840 x 2160 @ 30Hz) resolution through the HD output port. Backward support 2K / 1080p / 720p / 480p / 360p resolutions. 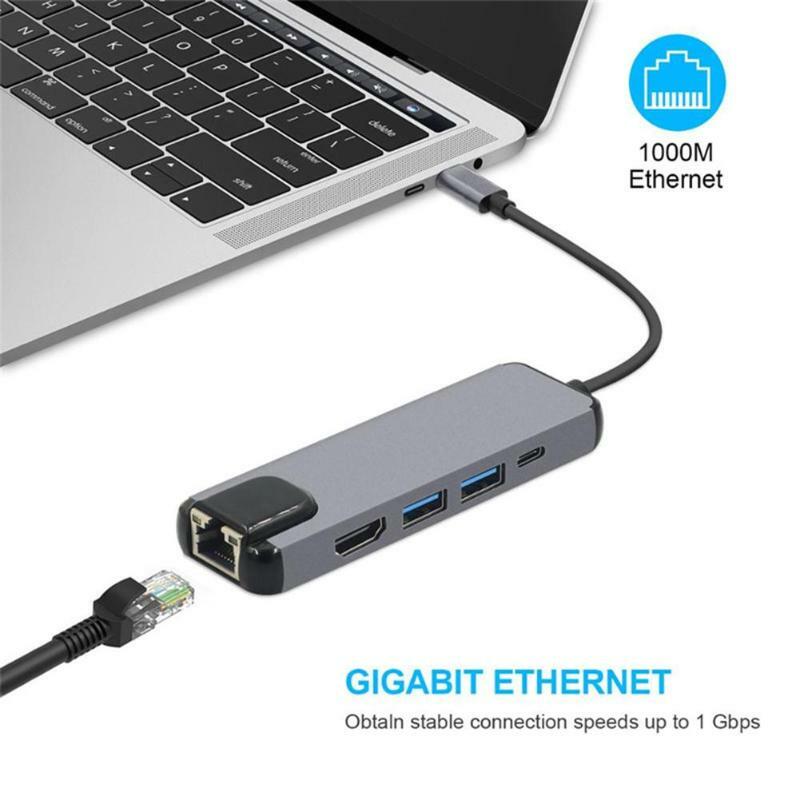 Enable you to enjoy the ultra-fast Gigabit Ethernet speeds and the reliability of wired connection directly. Support 10 / 100 / 1000 BEST-T networks. No driver required. Plug and play. Support hot swapping function. Thin, lightweight and compact design makes this hub a great travel companion. You can easily slide it into your pocket, bag or suitcase. 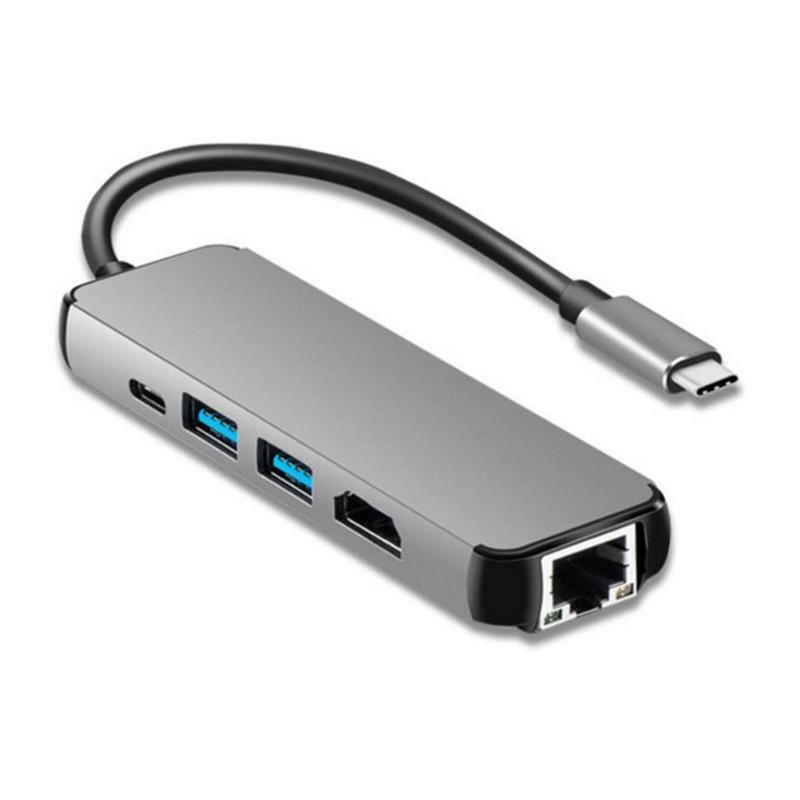 Interface: UCB-C power charging interface +HDMI output +2xUSB 3.0 port + Gigabit Ethernet port (RJ45 interface). 1. 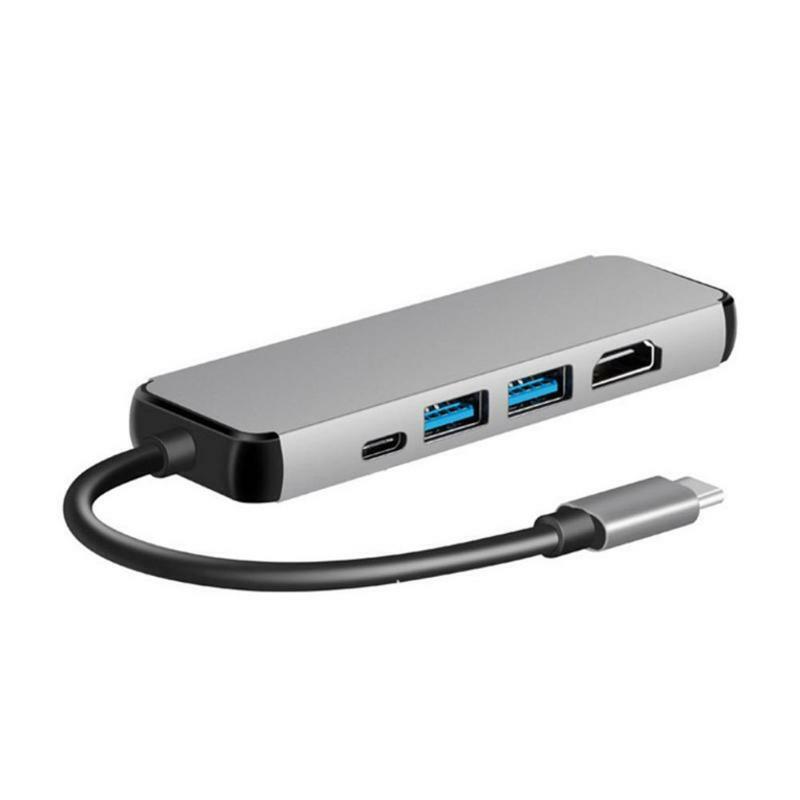 Make sure that the host USB-C port on your device complies with the USB 3.0 / USB 3.1 specification. 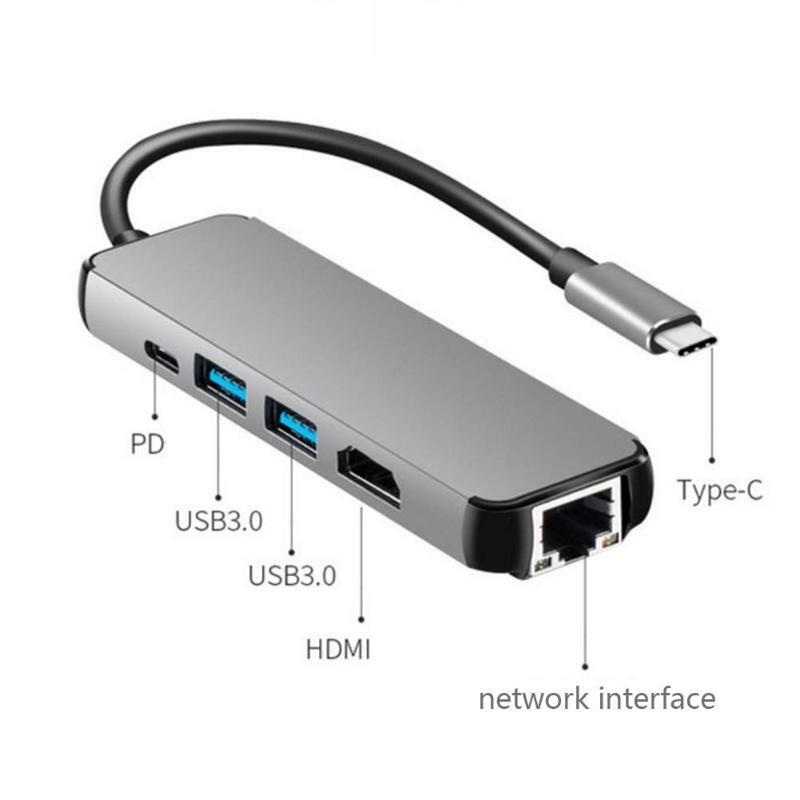 Compatible with USB 2.0 Type-C device. 3. 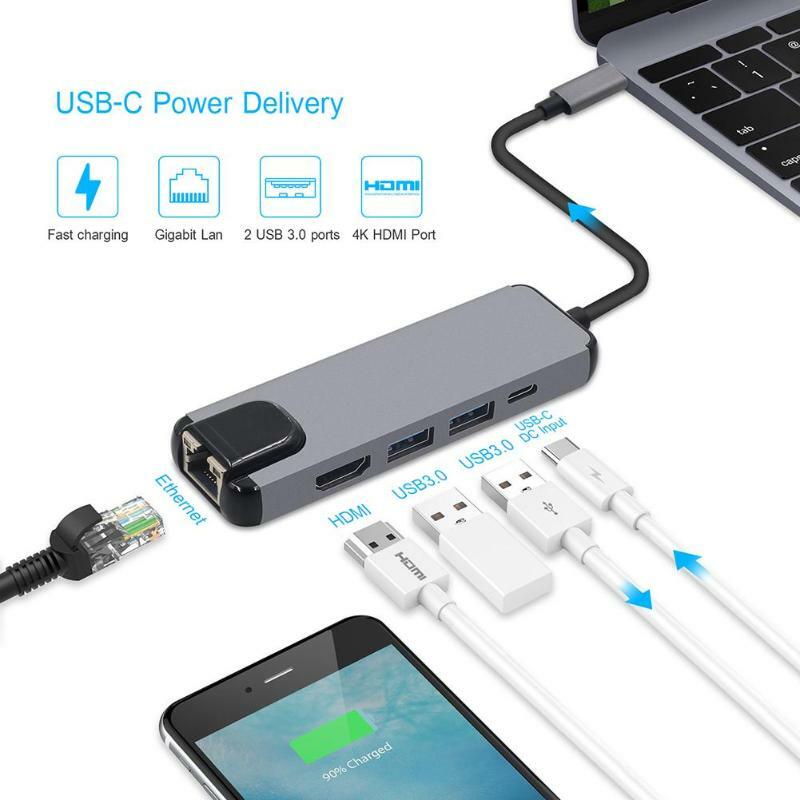 To use the Power Delivery function to power and charge a connected USB-C laptop, the host USB-C port from your device must support USB Power Delivery. The USB-C input charging port cannot be used for data transmission. 4. Please do not rely on the USB-A ports for charging your phones, tablets or other devices. 5. For a stable connection, do not use this hub with high-power devices. It supports one hard drive max. 7. Not compatible for Samsung tablets and for Asus Zenbook UX330UA.